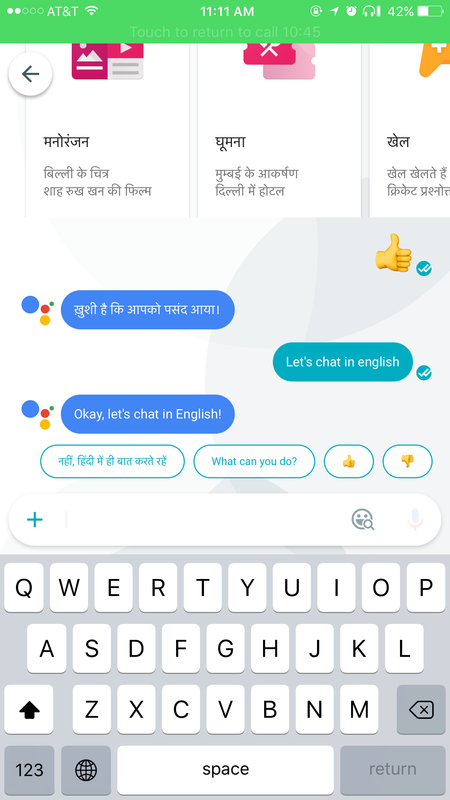 Google Assist in Allo app now supports Hindi. 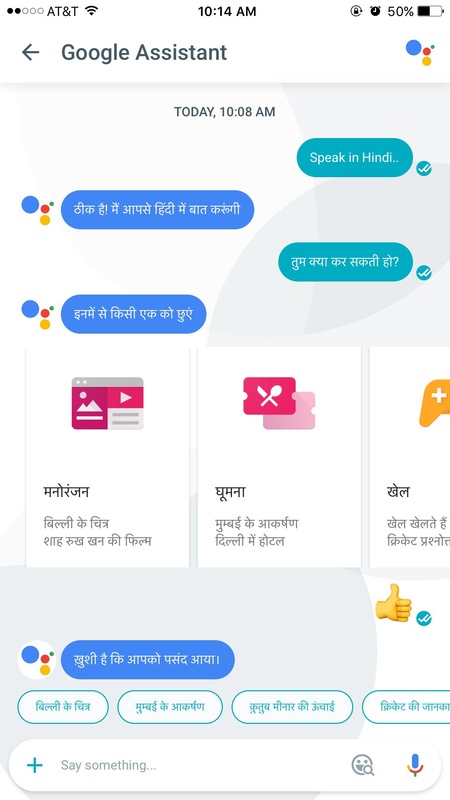 You can converse with Google Assist in Hindi now. Allo will also suggest ‘Smart Reply’ in Hindi now. Google started rolling out assist in Hindi on Monday. Google also announced India has the highest number of Allo users. Google gave a demo of this feature in the event that was held in India in September this year. To enable this simply say “Talk to me in Hindi” using Voice Command or just type “Let’s chat in Hindi” or “Speak in Hindi” and send it. To change back to English say “Talk to me in English” using voice command or just type “Let’s talk in English” or “Speak in English”. Android users can also manage language preferences settings of the device. “Smart Reply” feature now recognizes the language you are chatting and suggest responses in the same. Just tried out & must say it has been quiet impressive so far.